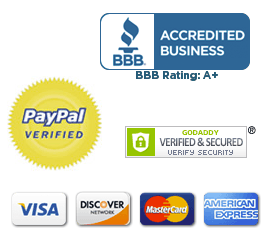 Suffering from pain or fatigue in your feet or lower legs? 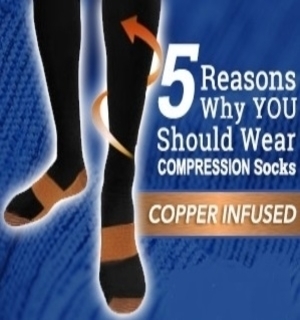 These Copper Infused Compression Socks may be just the thing to give you some much needed relief. Compression Therapy can help promote circulation, reduce swelling, and make it a lot more bearable to walk. Wearing Compression Socks should be a part of your daily routine. It's best to wear them all the time, unless you are bathing or sleeping. Plan on replacing your Compression Socks every 4 to 6 months. Compression technology has been proven to limit swelling, especially in people who spend all day on their feet. Benefits of compression stockings include helping to squeeze these areas to prevent the buildup of fluid in the tissue. Compression socks are worn to improve circulation in patients with various medical issues, such as diabetes and varicose veins or those at risk of developing blood clots. As a non-invasive treatment method, compression therapy serves as a tool for maintaining the right amount of pressure in your feet and legs. Compression socks relieve symptoms of poor circulation by mimicking the muscle's ability to pump the blood from your lower legs up through the areas of your body. 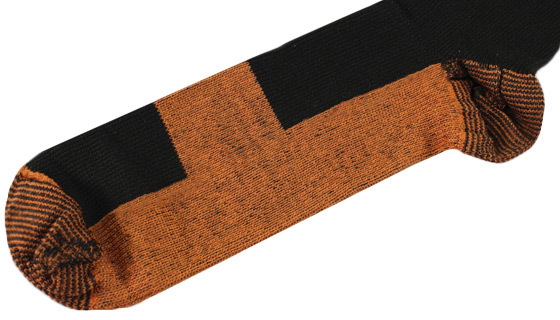 The socks use graduated compression to help your blood circulate. 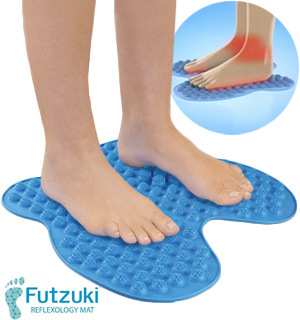 This means that they are often tight at the toes and gradually lessens as you move up the foot. 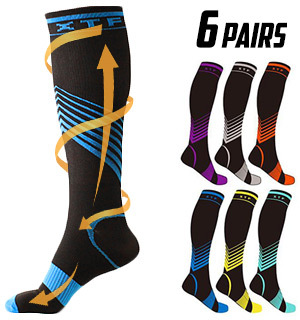 These specially designed socks featuring graduated compression zones along the entire length of the foot with a tight fit in the areas that need the most support. Furthermore these socks promote blood flow and boost circulation which also benefits the healing process. 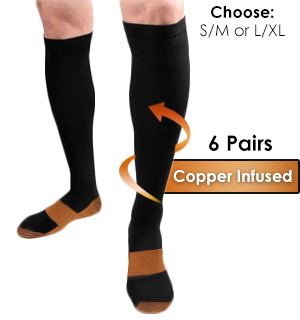 PulseTV Editors Pick: The Anti-Fatigue Copper Infused Compression Socks. These are just like all of those As Seen On TV Compression Socks but at less than half the price. These calf Compression Socks provide therapeutic compression for puffy, swollen feet. 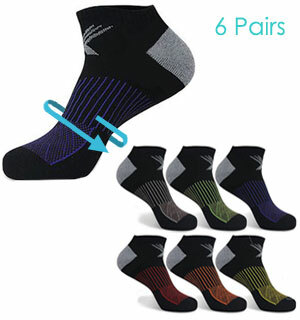 Plus, they're discrete enough to wear as normal socks so you can keep your feet compressed all day. 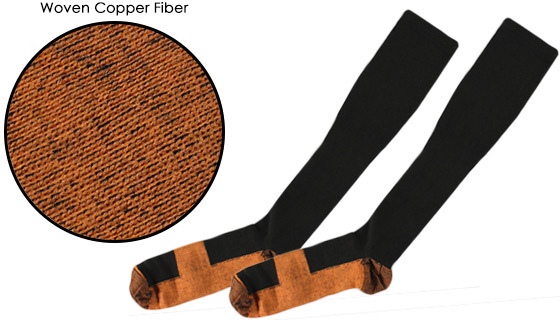 They are copper-infused, which reduces odor and insures maximum and consistent compression.